The most popular temple in Chamba. 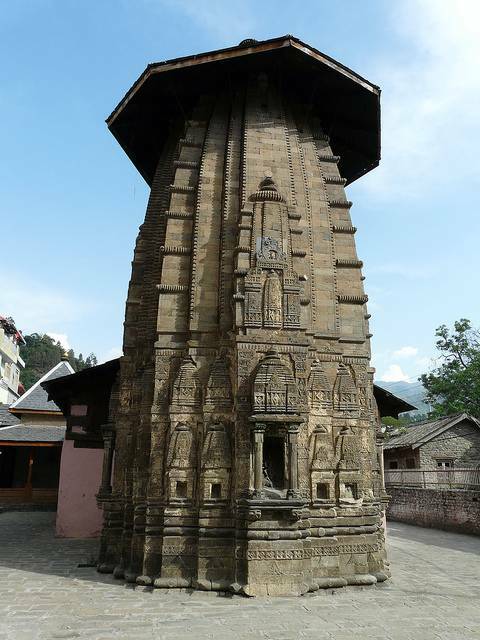 A truly spectacular find, the Champavati temple towers above the street below, with fine carvings on its single spire, it strikes a lonely figure. Solitary bastion. It’s actually a dedication to King Sahil Varman’s daughter, who legend has it, was taken by the gods at this very location. The story you will hear many of the locals telling you is that the king did not trust his daughter, and to stop any further members of his family from being taken, he built the temple.